CHP Captain Gregory Hammond filed a lawsuit against the CHP alleging that he was wrongly punished for doing his job. 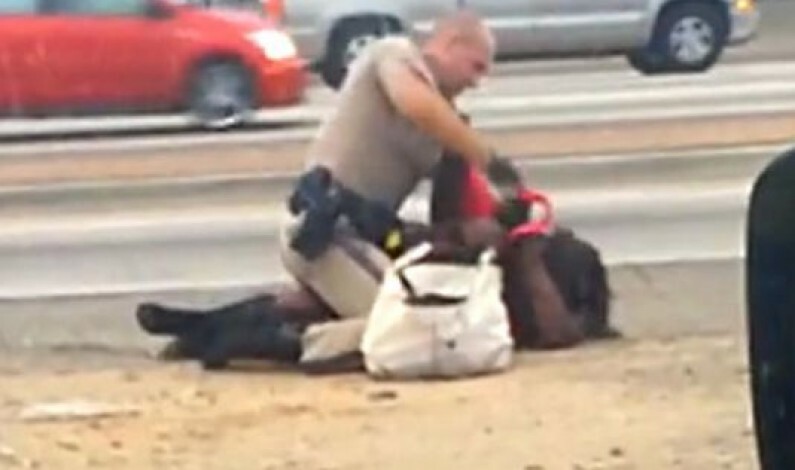 SANTA MONICA—California Highway Patrol Captain Gregory Hammond filed a lawsuit on February 27 alleging that he was wrongly punished for resisting pressure to find that an officer acted improperly in an altercation with a woman alongside the Santa Monica I-10 Freeway. A bystander, David Diaz, caught the dramatic altercation on video, which shows CHP officer, Daniel Andrew, tackling a woman, Marlene Pinnock, to the ground and punching her multiple times in the face, along the eastbound 10 Freeway, near the La Brea onramp. Captain Hammond argues in the lawsuit, which names the CHP, the State of California and CHP Commissioner Joseph Farrow, that he was removed from the investigation and became the target of administrative interrogation when he resisted management’s orders to find that Officer Daniel Andrew acted improperly. After a nine-hour mediation session in September 2014, California Highway Patrol awarded Pinnock a $1.5 million settlement and announced the resignation of Officer Daniel Andrew. It is speculated that Captain Hammond was asked to “skew the investigation in favor of the desired result regardless of the facts,” the lawsuit alleges. According to the lawsuit, Hammond had to go on stress leave in August and returned in November, because the interrogation techniques—which are usually used to keep subordinates “in line”— was used against him in the same manner.